Save yourself the headache of excavation works thanks to the professional and experienced team at The Blockage Doctor. With our skills and expertise we can bring damaged pipes and drains back to a flawless condition thanks to the drain relining Melbourne residents trust us to complete. 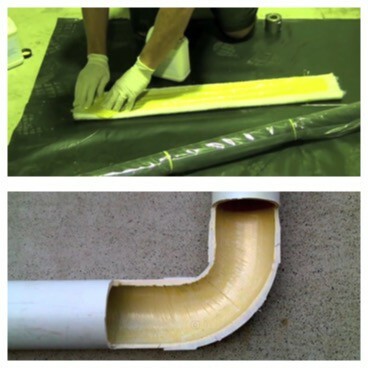 A long term solution to cracked drains or pipes that have been affected by invading roots, soil subsidence, or shifting soil, drain relining incorporates resilient and durable resins placed directly over gaps and cracks in the pipe wall, restoring the integrity and pressure usually found in the pipe without requiring extensive and expensive excavation works. At The Blockage Doctor it is our ambition to deliver effective and premium drainage solutions and repairs for an affordable price. Personalised to suit the environment of domestic, commercial, and industrial customers, our drain repairs help Melbourne residents turn their taps on without stressing about flooding their homes or flooding their backyards. From replacing sections of drains and pipes, through to innovative drain relining the contractors at The Blockage Doctor have the tools and the talent to restore damaged or old pipes and drains to the point that you won’t be able to tell the difference between them and factory-fresh pipes and drains. With our wide-range of plumbing services and solutions the team at The Blockage Doctor aim to be Melbourne’s one-stop blockage experts. Our non-invasive methods and techniques can extend the life of your plumbing system, getting rid of headaches in moments. To discuss your drain repair needs Melbourne residents can get in touch with the team who cares by calling us on 1300123823.